With 425km of piste spread out across 261 pistes, the Paradiski is a vast area that is a hugely popular ski destination. It’s therefore hard for anyone to look past 15 separate ski resorts, over 110 chalets, a range of high quality hotels and some of the highest skiing across the Alps. Paradiski is an endless playground for all snow-sports lovers thanks to the variety of slopes on offer and it being one of the largest connected ski areas in the world. 12 green and 135 blue runs mean that the area is suitable for beginners, whilst 77 red and 37 black runs allow more intermediate and advanced skiers to have fun. Snow is never really an issue in the Paradiski as 70% of pistes are above 2000m, including two skiable glaciers that sit at over 3000m. If that’s not enough, 290 hectares of the region are covered by snow cannons, so even the lower slopes tend to be snow covered. Les Arcs is becoming increasingly popular due to the extensive range of skiing for skiers of all abilities. With a number of snow parks and differing terrain, Les Arcs is also the self proclaimed ‘home of the snowboard’. The majority of Les Arcs is extremely obtrusive with no aesthetic appeal, but the new resort of Les Arcs (1950) has managed to retain a mild alpine village charm whilst being conveniently arranged. Although, due to the resort being entirely purpose built, access to and from the slopes is very good. Les Arcs has a very minimal range of hotels, but has over 30 mid-range chalets spread out across its various resorts with a number being ski in-ski out. Les Arcs (Villaroger): A tranquil village untouched by commercial tourism, so retains the traditional alpine village charm. Les Arcs (1600): A resort comprised of a series of low rise apartment blocks with a quiet friendly atmosphere. Les Arcs (1800): Large resort with a good night life and après scene. Numerous bars, shops and other amenities. Les Arcs (1950): New resort but maintains a village feel with high altitude snow reliability. Les Arcs (2000): Ski in-ski out convenience with little more than large self catering accommodation blocks. Peisey-Vallandry is situated in between Les Arcs and La Plagne and has great access to both and thus the entire Paradiski area. The resorts here are perfect for families and those who would rather concentrate on the skiing rather than the partying. There are still a number of great bars, restaurants and shops but the atmosphere is very much more relaxed and the nightlife is pretty quiet. Peisey Nancroix: An old and small village, but with slow access to the Les Arcs and La Plagne region. Plan Peisey: Quite nightlife, but still has an array of bars and shops. More attractive than other purpose built resorts. Vallandry: Attached to Plan Peisey with competitively priced chalets, and good access to Les Arcs and La Plagne. La Plagne is an intermediate skier’s paradise, even if you don’t utilise the link to Les Arcs, and for experts there are huge off-piste areas that don’t get tracked out too quickly. La Plagne (Centre) offers extensive facilities with a large variety of shops, bars and restaurants. The nightlife in La Plagne is fairly lively but definitely does not compete on the same level with Val d’Isère or St Anton. With over 60 chalets in La Plagne to choose from throughout La Plagne’s different resorts, there is no shortage to choose from. La Plagne (1800): Family orientated ski resort with large gentle ski area and great value accommodation. La Plagne (Aime): One of the highest purpose built resorts of the Alps. Offers true ski-in & ski-out convenience. 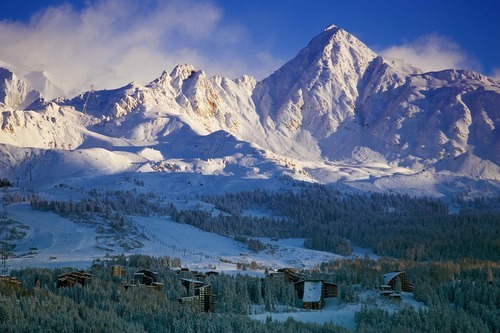 La Plagne (Belle): Attractive purposeful built, high altitude ski resort with easy access to the slopes. La Plagne (Centre): Purposeful, modern ski resort with easy access to huge Paradiski ski region. La Plagne (Coches): Excellent family ski resort close to the Paradiski link to Les Arcs. Car free centre. La Plagne (Montalbert): Traditional, quiet ski village with access to the La Plagne and Paradiski ski domain. La Plagne (Soleil): Quiet resort largely made up of small scale chalet developments for self catering. Aime La Plagne and Bourg St Maurice stations are within 30 min drives of the whole Paradiski. Both Eurostar (day and night trains) as well as French TGV trains from Paris stop at Aime La Plagne and Bourg St Maurice stations, which mean that ski holidays by train to the Paradiski area are very do-able. If taking to the slopes doesn’t take your fancy, then there are plenty of other activities for you to enjoy. Throughout the region there are a number of marked snow walks and many places to go husky sledding, fat biking, and paragliding. Mille 8 in Les Arcs (1800) has an extensive gym and a number of pools, complete with caves and waterfalls. The Olympic bobsled track in La Plagne (1800) offers the chance for people to experience the full thrill of hurtling down the ice, either taking on the responsibility of piloting yourself or letting a professional take you up to speeds of over 100kph. ESF is the national ski school for France, but being French you must expect French children in the classes and sometimes French used as the first language in the lessons. Its ski instructors and childcare are just as good as with the smaller independent ski schools but the actual ski groups tend to be larger. Oxygene is recognised as one of the best ski schools in the Alps and is renowned for instilling impressive techniques in skiers. They also run an excellent minibus pick-up and drop off service for children staying in La Plagne (1800). 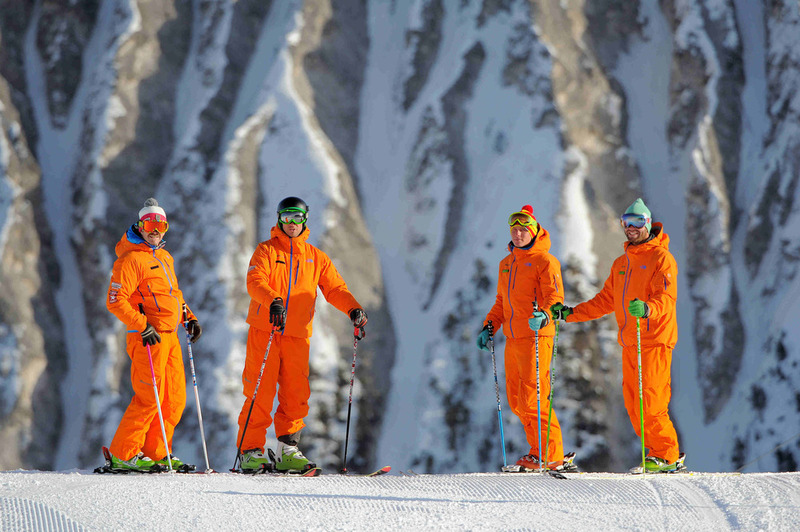 Evolution 2 provide a range of on and off-piste ski and snowboard lessons with a maximum group size of 8 people. They also offer other outdoor activities such as heliskiing, speedriding, toboganning, paragliding, ski joering, snow shoe trips and aperitifs and/or dinners in Mongolian yurts. Cariboo's Club is an exclusive environment for young children where everything is designed to mix skiing with fun activities. This school ensure that your children are well looked after, leaving you free to explore the slopes. Lime Snowsports is a small independent ski school offering friendly British ski lessons privately and to groups. All lessons are tailored specifically around you and your individual requirements. New Generation is a British run ski and snowboard school and was voted ‘No.1 Ski School’ by the ‘Which Guide’ and the ‘Snow Awards’. All instructors are fully qualified and handpicked, offering both group and private lessons. All lessons are in English and the groups are small in size.